The Ai:ionwatha Wampum Belt symbolizes the founding of the Iroquois Confederacy. Each square represents an Iroquois Nation. On the far right is the Mohawk Nation – The Keepers of the Eastern Door. On the far left is the Seneca Nation – The Keepers of the Western Door. The two younger brothers, the Oneida and Cayuga are in between. The central fire, represented by a tree is the Onondaga Nation. The Tuscarora Nation joined the Iroquois Confederacy in the early 1700’s so they are not represented in the earlier Hiawatha belt. The history of the Wahta Mohawks is available in a number of files at the National Archives of Canada and the Department of Indian Affairs in Hull, Quebec, as well as books and other published information. It is not possible to review and write about all of the material that is available on the history of Wahta. Students and other interested community members might like to do some follow-up research on their own in the future. However, the Wahta Mohawks published History of the Wahta Mohawk Community in commemoration of the Community Celebration Day, June 22, 2002. A copy is available for a nominal fee from the Wahta Mohawks, Administration Offices, (705) 762-2354 Ext 221. The Wahta community was founded when a group of the Mohawk people moved from Kanesatake, Quebec to Gibson Township in 1881. The conflict over land and religion were what brought about the move. The Catholic missionaries (of the Seminary of St. Sulpice, frequently termed the Sulpicians), Mohawks and other Iroquoians, Algonquins and Nipissings had occupied land at Oka, Quebec since early 1700, after a grant was made by the French Crown. Conflict over land and timber rights erupted between the Sulpicians and the aboriginal people at Kanesatake soon after the British had defeated the French and took control of New France in 1760. By 1860, some of the Iroquoian and Algonquin people of Kanesatake had converted from Catholicism to Methodism, and this introduced further conflict into an already tense situation. Proposals were put to the chiefs to have the Iroquois leave but refused by the chiefs. After many attempts to secure land in Ontario and after several violent incidents had occurred at Oka various parties began to take a closer look at the idea of removing the Iroquois. In 1877 the Department of Indian Affairs consulted with the leaders of Oka and found willingness on the part of Chief Joseph Onesakenrat and others to leave and form a new settlement somewhere in Ontario. In the summer of 1880 Indian Affairs asked the Ontario government if they would make a 15,000 acre tract of land available in the Parry Sound District. By November 1880 Chiefs Joseph Onesakenrat and Louis Sahanatien were reporting that about 60 of their people would agree to move to Ontario. By February 1881 33 families were willing to leave Oka. By March 1881 39 family were ready to leave. At the end of April 1881 44 families were willing to go to the lands found in Gibson Township. In the month of the move, October 1881 it is recorded 70 adults, 33 children under 5 and 30 children between 5 to 15left for Gibson Township. The part departed on October 20, 1881 from Kanesatake bound for their new home what is today known as the Wahta Mohawks Territory. The First Nation is located approximately 8 km from the town of Bala, Ontario, on the Muskoka Road #38 close to the intersection of Muskoka Rd 38 and Hwy 400 interchange. 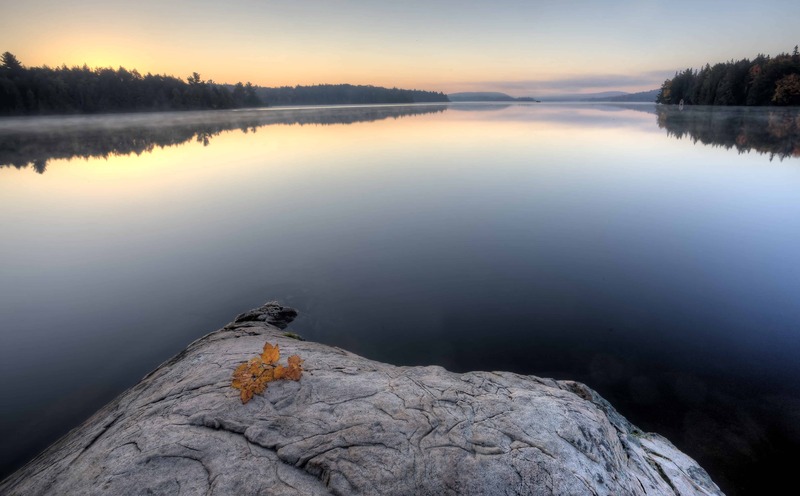 The land is made up of forest and lakes typical of the Canadian Shield. The Wahta Mohawk territory consists of approximately 14,795 acres of land. Currently 8,300 approximately acres of land are held by certificate holders and 6,500 acres of land are held by Band Council. The Wahta Mohawk territory has approximately 175 individuals living on the territory and a membership of approximately 742 members. There are currently 75 houses located on the rural areas of the community. The rural houses of Wahta Mohawks are serviced with water via wells. A dump site located on Muskoka Road #38. It is designed to accommodate household waste generated by Wahta Mohawks residents only. This site is operated by the Public Works Department. Fire protection is provided by Muskoka Lakes Township. The Wahta Mohawk United Church is located on Muskoka Road #38, on the territory. Currently on the Wahta Mohawk territory there are approximately 21 businesses.